What is a woman who is a woman, and how is it different from a man? God does not just created for men and women - they differ from each other. Besides the fact that each has its own features, and energy moves us in different ways. The Vedas say that each person has a mental 7 energy centers, the most active, often called chakras. In fact, there are more, but the main - 7. We arranged so that both men and women in these energy centers is moving in different ways. Someone clockwise someone counterclockwise. What does the activity or inactivity of chakra. And it turns out that we fully complement each other. We'll start from the bottom. 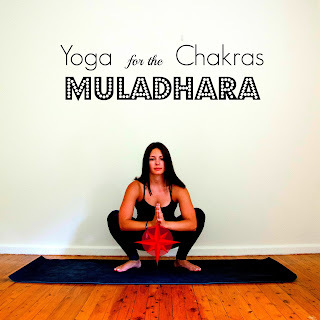 The lowest chakra - Muladhara. It is responsible for the survival and posterity, and it is arranged in such a way that men, this chakra is activated, and the woman is passive. That is man gives energy, and the woman accepts it. This means that this man's function - to provide protection. Protection for women's survival. To provide basic security. Our task - to focus on their responsibilities. The duty of a woman in this place - to learn to accept. Most of us with this problem. As planned, we should fully trust the man, and rely on him - that he would be able to take care of us. As for us, many of us, there are all sorts of generic scripts and other injuries. Very often we do not give a man to care about us at all. Very often women say, "Oh, I'd like a strong arm." But in practice, it is so afraid to trust that it is easier to do everything herself. If a woman begins to take care of itself survival, such as themselves and their children, the chakra starts of male type, it begins to be active. If a woman at the same time there are a husband, what he can do nothing, and his chakra becomes passive. That is, he begins to take, and a woman to give. And then reverse this situation very difficult. Because the woman to this situation as something to change, you need to abandon it, as if to jump without a parachute from a high mountain. We must understand that if you have a husband, a young man, but you prefer to take care of their security on their own, you hereby assume the function of the male, and it is detrimental and your femininity and masculinity. Next comes the second chakra - Svadhisthana. It is responsible for pleasure and desire, and works in a different way. In women, it is an active and passive men. That is, we give, and the men take. Even in the Vedas it is said that man is the enjoyer, and the woman is the one through which enjoy. This means that our task as women, is to make the man comfortable and cozy world. Very often women are protesting against this item, say - like so, why should we serve them, why we need them to enjoy and fulfill all desires? What is the worldly injustice? In fact, everything here is true. Because of the 7 chakras - 3 active women, active in 3 men and 1, the uppermost, works equally for all. Therefore, in this there is no injustice, there is simply the separation of roles. It is important to understand that the man is also something to give, and our task to give him pleasure and to fulfill his wishes - and even then it's not so bad. This includes any pleasure, including sexual pleasure, enjoying the food, the order in the house. That is, the ideal woman is to create a world for men, in which he will be able to easily find, it will be comfortable, and its main desires will be met. And not just satisfied, but he will suffer from this kind of pleasure. In this there is a significant difference. Here is a simple example. My husband and I have a favorite restaurant, and there is very tasty cooked. That is, at the same prices - terrific kitchen, where even French fries - amazing. And just yesterday we arrived, but it was closed. But the restaurant was opened next door, and we decided to go into it. It turned out that there are the same price, and the food is delicious, but it does not have some special highlights, part of the soul. So, you ate like a tasty, but this pleasure is not received. The same is true in the family. Can a man to cook some simple fried potatoes or scrambled eggs in the morning, with this attitude - "eat and leave me alone." And you can make it so that every time he having breakfast, lunch or dinner to receive pleasure. Accordingly, just as you can do, such as sexual relations. You can perform the conjugal duty and say - "when will it all end? ", And you can make a man really enjoyed the process. Let it be every day, not every week. Let it be a monthly Carnival. But what! Next we move to the third chakra - Manipur. This money, vitality, achievement. It is active in men and accordingly is passive in women. That is, the man gives the woman. The woman - takes. And here again the problem of women. I often get e-mails that I can not take money from men. Or I am ashamed to ask for her husband's money on some kind of jacket. Usually, this often occurs when a woman worked, itself provided, and then got married, she went on maternity leave. And it turns out it does not work, wants to buy something and the husband to ask embarrassing. And at this point there is a very serious conflict. Because if a woman refuses to take the money and vitality, the man is no longer a given and becomes slightly different position, or has it become less. That is one of the reasons why men earn a little more, and that the woman is not asking for anything. The woman said that she does not need anything, "I do not need boots, I did not skate endured." If a woman has this attitude to himself, to do with money and attitude to the man, the man will not earn a lot, because he was simply no need. Men by nature are very ascetic. You've probably seen the apartment bachelors, they do little to right. There's a bed, a stove, a frying pan, fried eggs for breakfast and everything. And nothing else. Sometimes in this situation, man ceases to earn and become gigolo. Or is that which will encourage him to the achievements of their desires. Therefore, it is our duty as women learn to take money from men, gifts, take some achievements and feats that they do in the name of us. There is another option when a woman suddenly starts to make a lot. She begins to think that it is the most important purpose in life - to support his family, to feed my family, "this namby-pamby nothing can" and so on. That is, if a woman resolutely undertakes activities in this regard, that a man has nothing left. The woman took everything. He has only to take. Then he gets home, henpecked and stuff. And it is the responsibility of women - that we have undertaken is not his own. 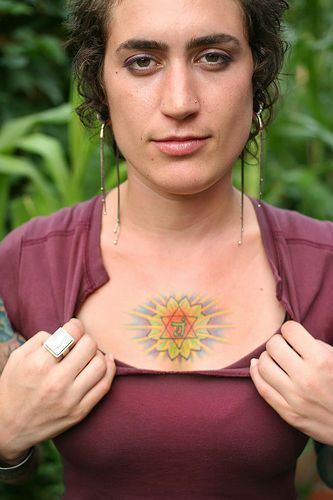 Next Anahata- heart chakra. It is responsible for love and sympathy. It is our women's chakra. That is, we, as women, have to give, and the man to take. On the contrary it turns uncomfortable. Most of you must have been such a fan that performs all your whims, who did everything that you want - and you flowers, and here it is, and here. And in the mouth looks, and that's just such a love, and in the evening meets and sees off the morning. And you look at him and you know, a good man, a good man, but I can not love. And Peel itself for being such a good - I do not like. Just because a man took over the activity of this chakra, this center. He began to give, and the woman has no other options. She can not love. And love - this is our all female. If a woman can not love, realized in this place, then it is very difficult. And why such a relationship often does not add up. So it's just a pretty picture - "I want a husband romantically courted me, that's done and now it is done and that's how I loved that way and that's love." If you like this happened, they would have it at all pleased indeed. Therefore rejoice, if your man does not take you responsible for the center and allow you realized it. Then you can fully open it, do some pleasant surprises to your loved and somehow spoil it. This does not mean that all his life he will only take and give nothing in return. Most likely, he will also have to do something, but it would not be in this center. It will, for example, at the level of the third chakra - that is, it will make some gifts, or on the first - as it begins to take care of you in terms of living space, or even some basic things. Therefore, do not expect from a man of unearthly romance and fulfillment of your whims, because it is our responsibility - to meet the desires, to give pleasure and love. It is the responsibility of women. Man will repay you with something else. Gifts and sense of security. The fifth chakra Vishuddha - communication, self-expression. Man gives - a woman takes. Man - is active. A man in your life is very important to express yourself, to be realized. For women, the basic realization - it is a family. outside the family Implementation of the secondary. If a woman has learned to give love the fourth center, this energy rises above a man, and he wants to not just make money, not just to provide a basic level of family. He already wants to leave his mark on history, some legacy. Want something to improve the world - at this level, men often begin to do great things, global exploits. And all these deeds are done in the name of women. Our task at this point - take. Joy and love. As princess and queen receive honors from the fighting knights. To them it was for someone to make the crusades, defend the motherland and save the planet from environmental disaster. So if you want your man is not just survived and worked, and indeed implemented and changed the world - learn to love it. The energy of your love can raise it up to the fifth energy center. In addition, it is also the center of communication, public relations. For example, well, if the friends of the family - a friend of her husband. Do not you bring him into their company and force to communicate with your friends. And it puts you in certain your circle, you create some kind of communication, and builds ties between the families. Sixth Chakra Ajna - clairvoyance. Woman giving - man accepts. Theoretically, every wife should be the main assistant to her husband. And its main aid is not to do what he does not like. And to give him something that he is not in the power of nature. Clairvoyance. For example, a woman always gives very good advice to her husband. She has intuition, and she often feels and says - "something to this guy I do not like, with whom you want to sign a contract." A man in an ideal situation, listens to her feelings. If it lacks significance in its three centers - it is implemented as head of the family, as a miner, and he has a certain mission - it is easy to take note of the recommendation of his wife. The woman often feels some things, and she said - "Look, I'm not like this man, let's do not work with it, or I feel, good is not going to end." It takes some time - and the way it is. I have so often happens - when people do not like me, but obvious reasons it is not. I had not told her husband. And then there is the situation - and the man is revealed not to the best side. I realized that my task - to protect her husband. And I began to speak to him. First, he waved. But after a couple of serious situations - I began to ask my opinion about the people. Especially on the partnership and joint business with anyone. The seventh chakra is Sahasrara works the same for all - it is our relationship with God. It does not matter, we are men or women. First of all, we - the soul, and the soul does not imeeet floor. Gender differences are important here on earth in order to fulfill the mission for which we were born. Gender gives us a framework that we have to fill in as we like. We can say that by giving us a woman's body, the Lord narrowed the range of throwing and more clearly outlined the role that we are here to play. And how do you have? 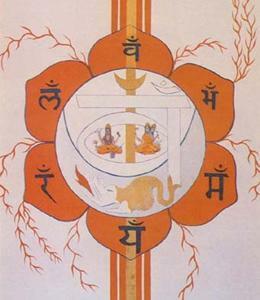 The biggest imbalances usually have the four lower chakras. They provide the basis for the harmony at the highest levels. Therefore, we have a big challenge in life - learn to accept from a man on the first and third chakra. And besides - learn to give respect to the second and fourth. Just what we most often do not know how.